People poured money into a Kickstarter for a spiritual successor to the 1998 Nintendo 64 game Banjo-Kazooie. Why? Because Banjo-Kazooie was a wonderful game and no mere Mario 64 me-too, as some detractors claim. This post originally appeared 5/11/15. 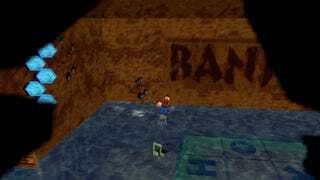 We’ve bumped it up for the 20th anniversary of Banjo-Kazooie. Patrick Klepek: Hah! I owned more than an N64. At the time, I would do my best to convince (trick?) my brother into funneling our Christmas presents into one big one, which would allow us to keep up with the big, new systems at the time. We had an N64 first, though, which meant every few months, we’d make a trip to the Kay-Bee-Toys to get whatever the new game was—or to learn it was delayed. Stephen Totilo: Right. I mean, back then I had probably convinced myself that Turok: Dinosaur Hunter’s campaign really was worth playing multiple times. 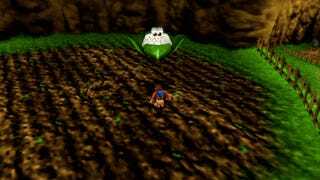 The first I’d heard of Banjo-Kazooie was from IGN. They were calling it Project Dream and... it was delayed! Got bumped out of the N64’s second Christmas in favor of Diddy Kong Racing, another Rare game. Which was super-annoying because Mario Kart 64 had come out earlier in the year. We were bereft of games but getting TWO Nintendo-published Kart games in the same year. Ugh. 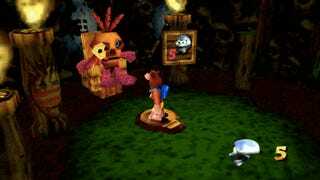 Do you remember when you first saw Banjo-Kazooie in action or played it? I don’t. Patrick Klepek: No, but I remember when I saw Mario 64 for the first time. My family used to frequent a particular theater together, and it was right next door to a place called Die Hard Game Club. This was when the N64 had come out in Japan, and wouldn’t be out in the US for some time. Remember when things came out in Japan first every time? They were actually CHARGING for you to play Mario 64. It was worth it. I bring that story up to tie together how I initially fell in love with the 3D platformer. When I was that young, I didn’t know the distinction between Nintendo and Rare. If Nintendo, the creators of Mario 64, were putting out a new platformer, I was there. It drove me nuts because I’d have to read about this stuff in EGM rumor columns or GameFAQs message boards. There wasn’t much real-time authority back then, so it was all playground rumors. 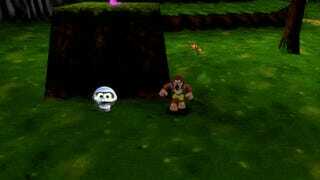 I think…look, Donkey Kong 64 was a bad game—is a bad game. 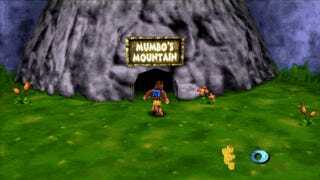 What I loved so much about Banjo-Kazooie is that it encouraged and rewarded exploration. 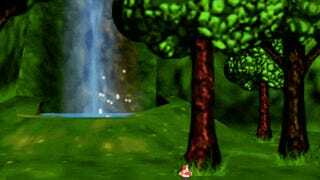 Yes, there was platforming, and some of it was challenging, but it wasn’t a game of dexterity and controller finesse in the same way as Super Mario 64. And while I didn’t know it at the time, I can appreciate now that it’s the reason Banjo-Kazooie was such a lovely, wonderful game. It was funny, winked at the player, and wanted you to enjoy what it’d built in a way most games tried to keep you on-the-trails. The way the ending plays out epitomized this approach, but it was sprinkled in every level. Stephen Totilo: Yeah, it wasn’t as fun to control as Mario 64. Which is like saying your current favorite NBA player isn’t as good as Michael Jordan. Nothing in gaming will likely ever feel as good to input as Mario’s triple-jump in that game. But BK had that sense of humor. Mario was confident and sweet. Banjo was confident and goofy. You knew that from the start when its all-time-great soundtrack started playing. High-energy, silly music. (And adaptive music, too, right? The instrumentation of the music in the hub area changed depending on where you were, if I recall correctly). Patrick Klepek: And if the not-really-convincing-but-who-knows rumors about a new Banjo from Rare pan out, we’ll be swimming in Banjo games soon enough.